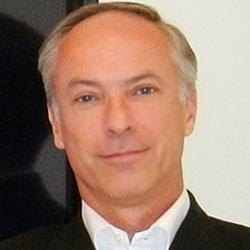 Stewart Caddick is the founder of a group of retail services companies in Dubai that include retail consultancy RCD and digital integration company Connectiv. Originally qualified as an architect in the UK, he has been involved in the planning and design of retail environments and experiences for nearly 30 years and has extensive experience in the travel retail sector. Based in Dubai since 2000, he has played a significant role in the development of retail in the region. He has been the retail design consultant to Dubai Duty Free for the past 20 years, during which time their turnover has increased tenfold from $200 million to close on $2 billion today – making them the retailer with the highest turnover per square foot anywhere in the world. His companies also provide services to the likes of Abercrombie & Fitch, Emaar, Dubai Properties, Mashreq Bank and Al Futtaim Retail. Caddick is passionate about improving retail performance for clients and, in particular, the adoption of new technologies as effective ‘tools of engagement’ in the shopping experience.